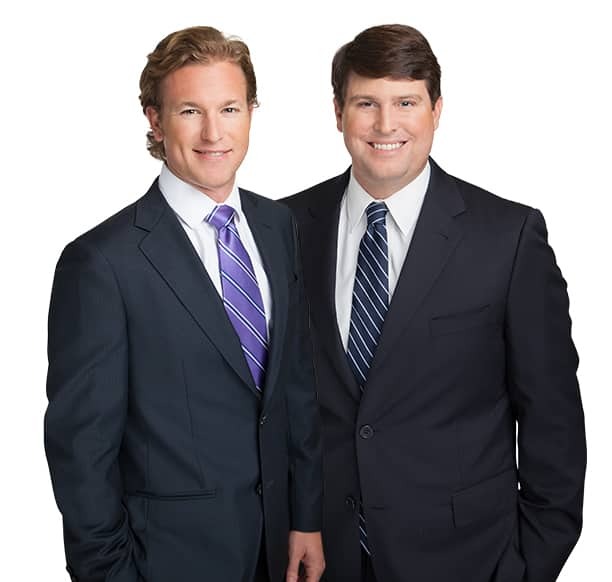 AQUILA Commercial today announced that Matt Wilhite and Leigh Ellis have been named partner. Matt joined AQUILA in 2013 and celebrated his fifth year with the firm last June. Matt specializes in office tenant representation and has a diverse client list including multinational corporations, local startups, and prominent professional service and law firms. His client roster includes WeWork, Aristocrat Technologies, Smith Robertson Elliott & Douglas, LLP and New Waterloo. Matt was named an Austin Business Journal Heavy Hitter in 2017 and has completed over 500,000 square feet of Class A office space transactions in Austin. Matt is a graduate of Texas Christian University and a native Austinite. Matt Wilhite (left) and Leigh Ellis (right) have been named partner at AQUILA Commercial. Leigh joined AQUILA in 2014, and February will mark his fifth year with the company. Leigh is AQUILA’s industrial expert, focusing on both project leasing and tenant representation. He represents a number of national and local companies, including Stonelake Capital Partners, Industrial Group Southwest, Goodwill Industries of Central Texas and Protect America. “I am lucky to work with an exceptional roster of clients,” says Ellis. “From national institutions to local firms, the relationships that I have forged in my time in the industry are the reason for my success. Leigh has been named an Austin Business Journal Heavy Hitter and a Costar Power Broker multiple times, and in 2017 won the Austin Business Journal Industrial Transaction of the Year Award for the Goodwill North Outlet. Leigh is a graduate of the University of Texas at Austin and is an SIOR Candidate. Founded in 2007, AQUILA Commercial is a recognized leader in Austin commercial real estate. Today AQUILA manages and leases over 9 million square feet of office, industrial and retail properties and has over 550 corporate tenant representation clients. AQUILA offers clients full service real estate solutions, providing tenant representation, project leasing and asset, property and project management services for office, industrial and retail properties. For more information, visit: www.aquilacommercial.com. 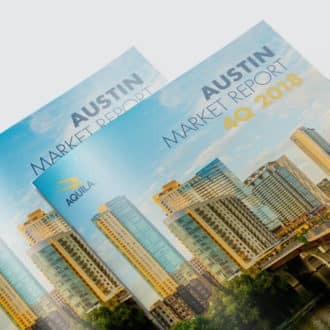 Stay on top of what's happening in the Austin real estate market. You can also manage your subscription preferences.